While any insecticide will kill the wood-boring beetles it comes into contact with, Bora-Care penetrates to kill insects that can’t be seen or detected. 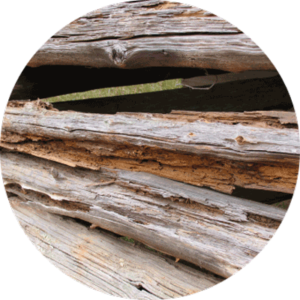 Once the wood is treated with Bora-Care, it’s no longer a food source and wood-boring beetles can’t infest it. Bora-Care provides residual protection for the life of the wood. 12 years of efficacy studies and 16 years of treatments in the field have shown Bora-Care’s ability to prevent wood-destroying insects from consuming wood. Bora-Care should be applied by a professional pest control company. Bora-Care also kills and prevents wood-decay fungi and algae. Bora-Care’s active ingredient is a natural mineral salt called Disodium Octaborate Tetrahydrate (DOT), which contains the element boron. 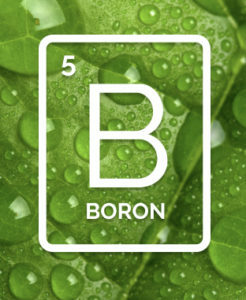 Boron is an element on the periodic table that’s already present in the environment and in products such as soaps and cosmetics and vegetables. It is also used as a micronutrient in agriculture. When should Bora-Care be applied? Bora-Care eliminates treated wood as a food source for wood destroying organisms like beetles. 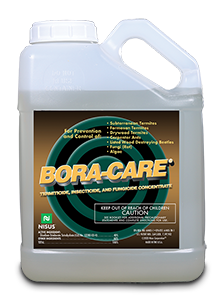 Bora-Care is also ideal for eliminating existing infestations. Pest control companies can treat all accessible wood wherever wood-boring beetle or termite infestations exist including wall voids, crawl spaces, attics and reclaimed wood. Bora-Care is also used to replace old-style soil poisons. In fact, between 1990 and 2017 the use of Bora-Care has kept over 637 million gallons of soil poisons from being pumped into the ground. The active ingredient is a borate mineral salt that works by taking advantage of a unique feature in the biology of wood-boring beetles, termites, ants and other insects. After ingestion, insects become unable to extract nutrition from food and starve to death. Because of this unique mode of action, insects cannot develop a resistance to Bora-Care; however it does not affect mammals and other animals. Bora-Care is applied directly onto wood surfaces, and penetrates the wood. Because the active ingredient in Bora-Care is a mineral salt, it doesn’t break down over time and remains in the wood for the life of the wood. If the wood is kept sealed or protected from moisture, Bora-Care continues to provide residual protection. More than 2 million new homes have been treated with Bora-Care. Bora-Care can be used as a whole house treatment to give the structure protection against wood-boring beetles, drywood termites, carpenter ants and termites to provide general pest protection inside all your walls. Bora-Care will also kill and prevent wood-decay fungi and algae. Pretreating your structure with Bora-Care is fast and efficient. Bora-Care is applied directly to the wood any time during the dried-in phase of construction. The pest management professional treats all the wood in the structure. After treatment, exterior treated wood surfaces should be coated with a water-repellent finish such as paint or stain. It’s important to allow Bora-Care to completely dry before applying any protective topcoat. Bora-Care earns green points under LEED, LEED for Homes, EarthCraft, NGBS Green Partners Program and other green building programs.